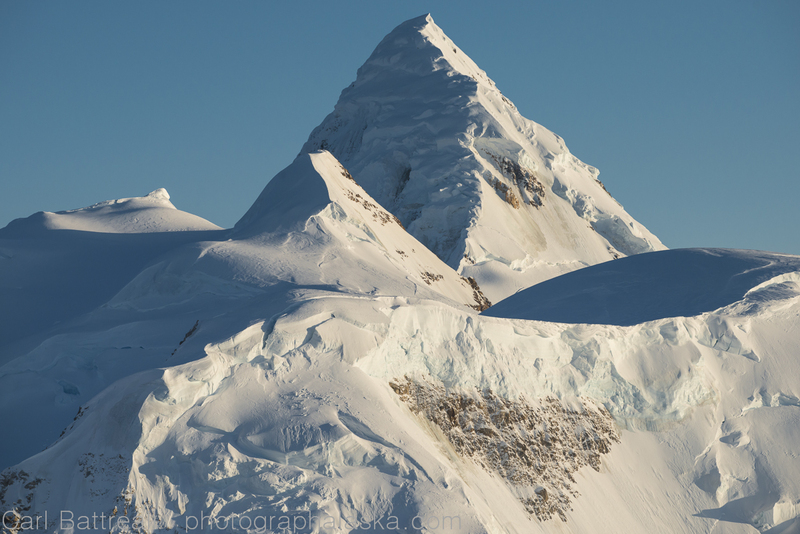 This entry was posted in Mountain Profiles, New Photos, Old Photos and tagged aerial photography, Alaska, alaska Mountains, alaska photographs, Alaska Range, alaska range project, denali national park and preserve, Mount Russell, mountain photography, Yentna Glacier by Carl. Bookmark the permalink. 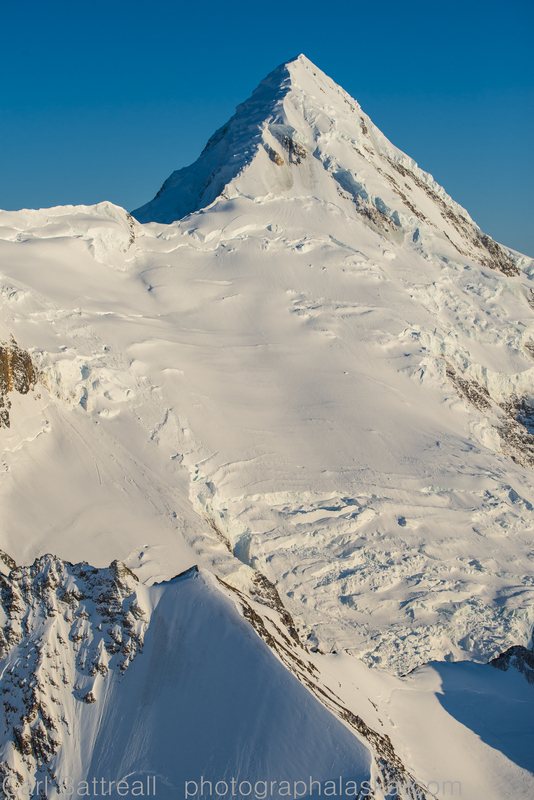 You mentioned two spots to land for attempting to climb Mount Russell. 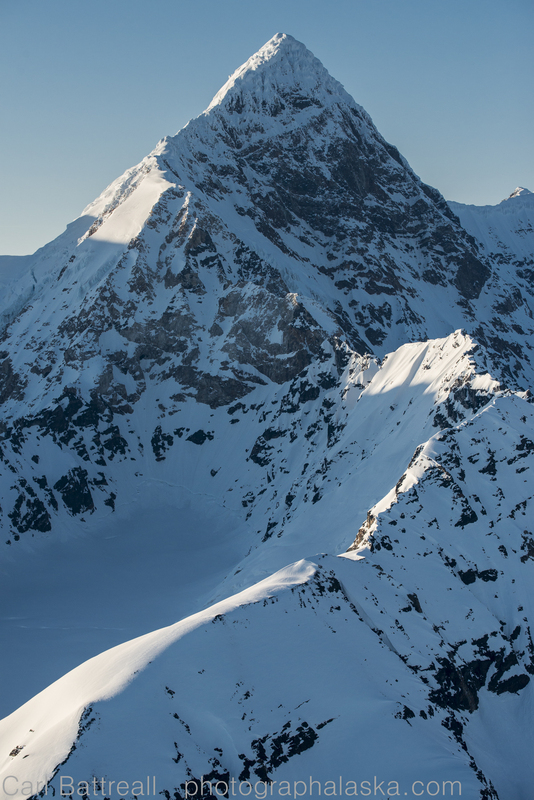 The first ascent party landed on the Chedotlothna Glacier, which is a lot closer than the Purkeypile Airstrip. Steve, from what I hear, you can no longer land on the Chedotlothna Glacier, well maybe with a helicopter. Anyone know the status/ability to access either spot in late winter? The standard landing area for the classic route is accessible in late winter. TAT can land you there.